Home / mobile / new launch / New Mobile / Tech / Tech News / TechNews / technology / A High End Flagship Sub-USD 300, Is the Z2 Plus Lenovo’s Mi 3? A High End Flagship Sub-USD 300, Is the Z2 Plus Lenovo’s Mi 3? In the end, it took a single slide to rescue what had been until then a rather predictable and occasionally even erratic presentation. We had pretty much known that Lenovo would be releasing the Zuk Z2, rebranded as the Lenovo Z2 Plus in the Indian market towards the end of September. We knew the specs of the device and how it looked. What we did not know, as always, was the price. Speculation had been rife that the company would come out with two variants of the device – a 3GB RAM/ 32 GB storage option and a 4 GB RAM/ 64 GB storage one. 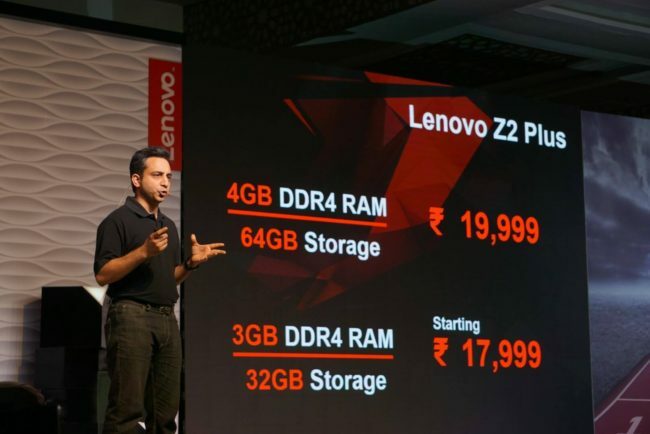 And well, the buzz in the market had been that Lenovo would try to make the lower variant a sub-Rs 20,000 one, going below the 20k psychological barrier. And Anuj Sharma, head of product marketing, Lenovo Smartphones, milked the moment for what it was worth. Although the company does not get credit with it, Lenovo was one of the first manufacturers in India to make the revelation of the price of a device a rather elaborate process, complete with revolving numbers that changed time and again. We first saw it at the launch of the Vibe X2 in 2014 – an occasion that left our colleague Sandeep Budki’s nerves in a shredded state as he had twice sent prices that he felt were final to his team only to see the number on the display change one more time! This time too, there was a twist in the tale. Sharma began by showing the price of Rs 19,999 before the lower variation of the device, and this was greeted with a “we thought so” mutter from the media. And then he promptly moved the figure to the higher variant, revealing the price of the lower one to be an even lower Rs 17,999. Cue a fair bit of surprise. Shock, even. For, to be brutally blunt, with that price tag, Lenovo had potentially thrown the sort of scanner in the works of other brands that Xiaomi had a couple of years ago when it had launched the Mi 3. The rationale was the same: this was a phone that seemed to cut no corners in any region and yet cost significantly lower than anything the competition had to offer. At the time of writing, the device that comes closest to it is the OnePlus 3, which at Rs 27,999 costs significantly (almost forty per cent more), even though it does bring a bigger display and evidently a better camera (and more RAM) to the battle. 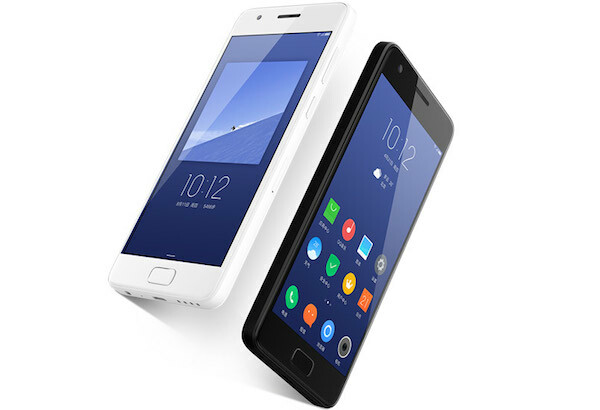 Significantly, like the Mi 3, the Z2 Plus does not look like a device that has been made by cutting costs. If anything, it looks as premium as anything out there with its glass front and back (yes, scratches ahoy, we know, but what the heck it does look good) and very slim fibreglass frame. The importance of design cannot be over stressed because no one wants to be seen with a device that “looks” cheap. The Z2 Plus does not look like that. Not one bit. Truth be told, we even love the compact form factor, something which the likes of the Galaxy S7 are getting us addicted to. And its higher variant does pack a very powerful hardware punch – it is powered by the Qualcomm Snapdragon 820 processor which is the chosen one of all the flagships out there from the Samsung Galaxy S7 to the LG G5, the display is a full HD one, RAM stands at 4 GB, storage at 64 GB and connectivity options include everything you would want from a flagship device, including 4G support, and the battery stands at a very respectable 3500 mAh. Those are high-end flagship specs, make no mistake about it and comparable with the best in the business. We know some will complain about the 13.0-megapixel camera and the fact that there is no expandable memory, but then these accusations had been levelled at the Mi 3 too, remember? And it overrode them simply because of the perception of the staggering value for money it delivered. And we think that that is where the next challenge for the Lenovo Z2 Plus lies – it has won the spec and design war very comfortably indeed. But just how much bang it delivers for that surprisingly low price tag is going to boil down to how it performs. We will find that out in the coming days when we get a review unit. But as of now, we cannot help but sense a feeling of pleasant disbelief at the price of the Lenovo Z2 Plus. It is familiar to the one we felt about two years ago when Xiaomi launched the Mi3. With the Z2 Plus, Lenovo has an opportunity to not just make a strong statement in the high-end phone segment, but also to significantly change the whole price-specs equation. And we can hear many rooting for it already. For, while many people love a great phone, everyone loves a great phone at a great price!